This diversion was a fish barrier. The dam is no longer a barrier. The Yellowhawk dam site offered an unusual challenge to the District. 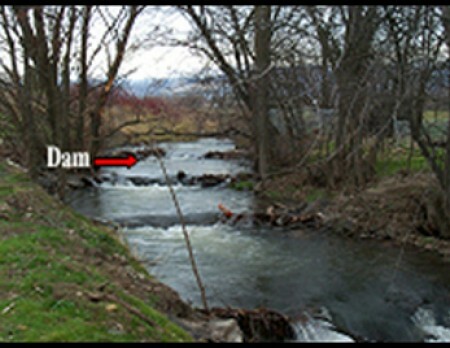 The landowner needed the deep pool created by the dam to continue irrigation, but he recognized the importance of removing the fish barrier. Instead of removing the dam, the District obtained a grant from the Washington State Salmon Recovery Funding Board (see Links) to construct a series of weirs that would gradually raise the water level. The dam is now submerged, so fish can navigate it easily, and the landowner still has access to a deep pool for continued irrigation. 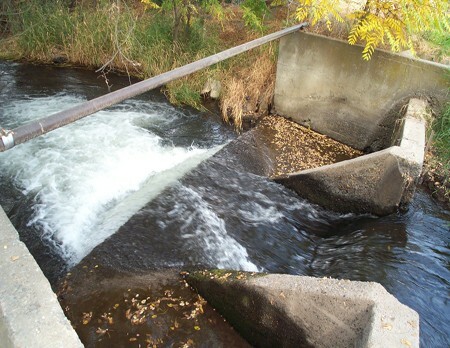 Prior to the construction of the concrete flood control channel through Walla Walla, Mill Creek was the primary route for salmonids migrating to the spawning areas of upper Mill Creek. 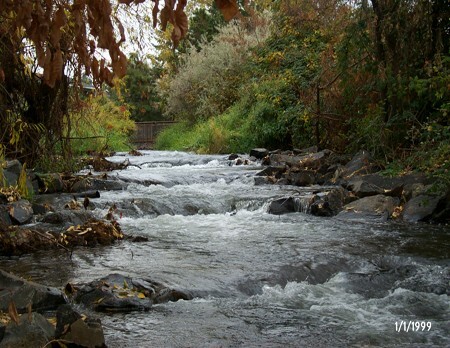 Yellowhawk Creek, a distributary of Mill Creek, offers an alternative route to these pristine waters of the upper Mill Creek watershed..